Dr. Physick’s connections to Christ Church begin with his great grandfather silversmith Philip Syng Sr. Arriving in Philadelphia from Ireland with his wife and three young sons in 1714. The following year Philip Syng Sr., made a copy of the English made flagon that was part of a three-piece set that had been a gift of Queen Anne to Christ Church in 1708. 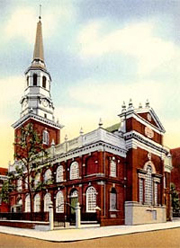 Christ Church was founded in 1695. It was the first parish of the Church of England (Anglican) in Pennsylvania. It is also the birthplace of the American Episcopal Church. Philip Syng Sr. also made a silver bowl for the massive fourteenth-century Baptismal Font that had been sent to Christ Church from England in 1697. Ancient at the time, this octagonal, walnut font is said to have been the one used for the baptism of Pennsylvania founder, William Penn, in 1644 at All Hallows Church, Barking-by-the-Tower, London. Dr. Physick, his children, his grandmother Elizabeth Warner Syng, and his mother Abigail Syng would all be baptized in the Penn Font using the Syng bowl. Silversmith Philip Syng Jr., Dr. Physick's grandfather, was married to Elizabeth Warner in Christ Church on February 29, 1730. Philip Jr. later served as vestryman of the Church and burial ground that he with his wife Elizabeth, and most of their eighteen children would rest at Fifth and Arch Streets. 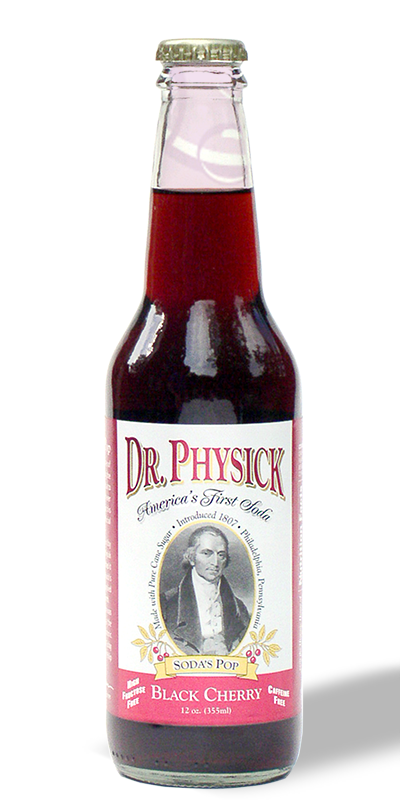 Dr. Physick is buried next to his ancestors' in the Christ Church Burial Ground, just a few feet from his friend and partner Dr. Benjamin Rush.